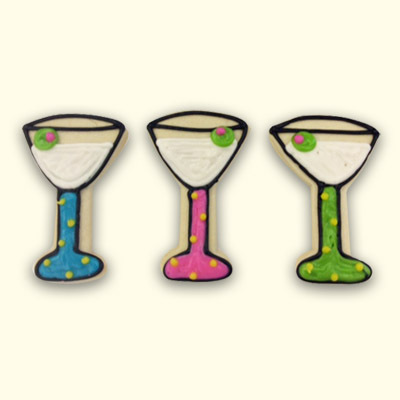 Toast any occasion with these colorful and delicious martini cookies. Each cookie is a glass of fun with olives, limes, and a twist. 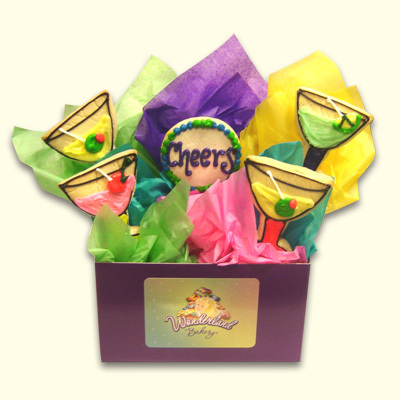 Send as is with "Cheers" or we can create your personal message. You can order these in an arrangement or as individual party favors! 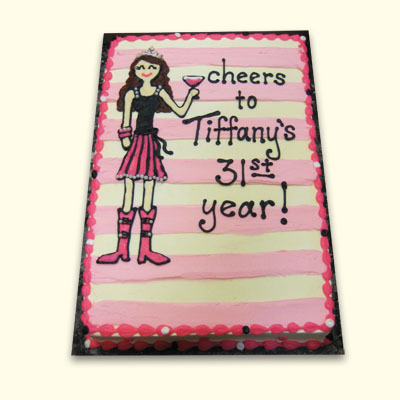 We can even personalize each cookie for place settings for a dinner.